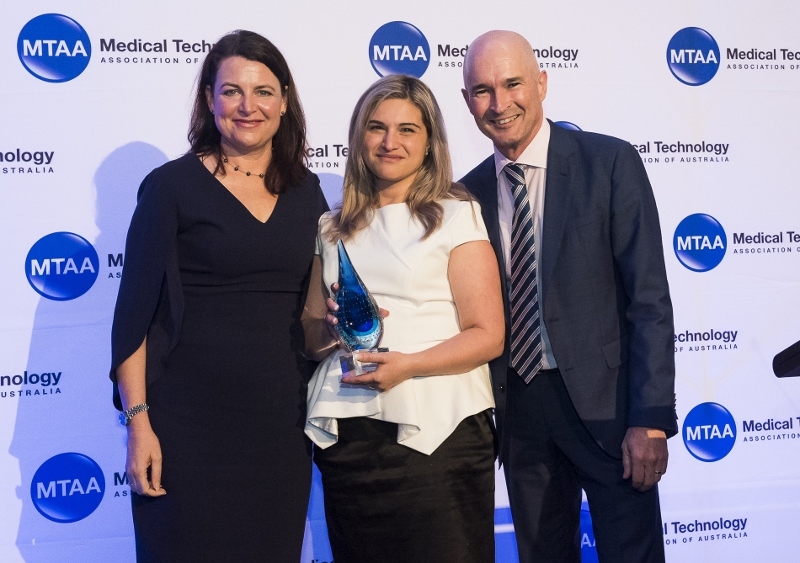 MTAA introduced the Women in MedTech Awards in 2017. The Awards are presented to an individual and a company who has been a leader in advancing or achieved a significant result in the WiMT Mission or Goals within their company or the industry. The Women in MedTech (WiMT) mission is to “lead the debate and promote the benefits of gender diversity in the workplace and within the Medtech Industry”. We aspire to actively support women entering or advancing within our industry. 1. To maintain benchmark metrics on the current ratio of women in leadership positions within Medtech. 2. To lead the discussion towards the setting of an agreed and achievable target ratio of women in leadership positions. 3. To produce and disseminate tangible action plans they may deploy in order to increase the female talent pool in their businesses and leadership positions. 4. To raise the profile and benefit of Women within the MedTech industry through targeted campaigns and events.